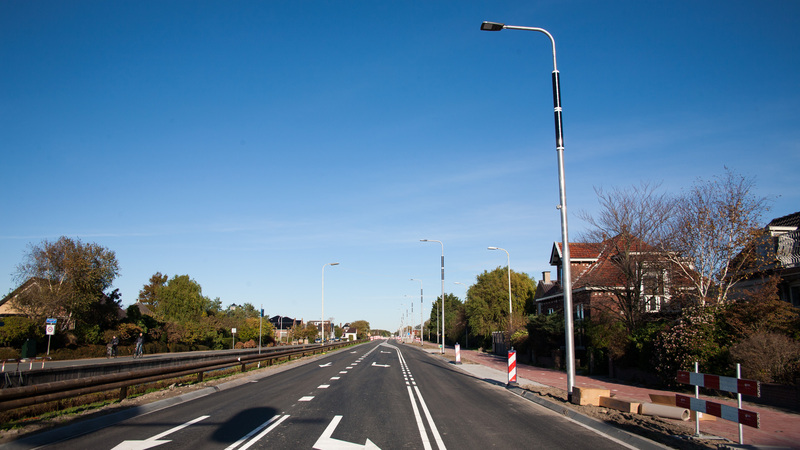 The Soluxio is one of the most advanced solar-powered streetlights in the market. Technologically speaking, the light post will work with any type of battery chemistry. Other solar street light manufacturers sell and produce their products with lead/VRLA/AGM batteries by default. However, the true cost of ownership (TCO) of these types of batteries is much higher than that of lithium batteries – even though lithium batteries may appear to be more expensive at first glance. FlexSol Solutions distinguishes itself by exclusively working with lithium batteries in our solar lighting products. 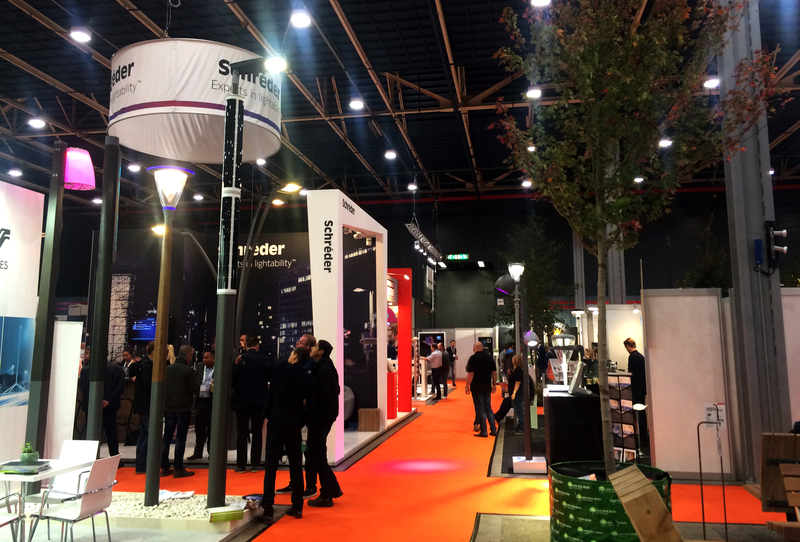 Both the Soluxio street lighting and NxT outdoor lighting product ranges operate exclusively on lithium-ion battery chemistry. We highly recommend integrating lithium batteries in your solar lighting products, since it greatly improves the return on investment (ROI) of your purchase. 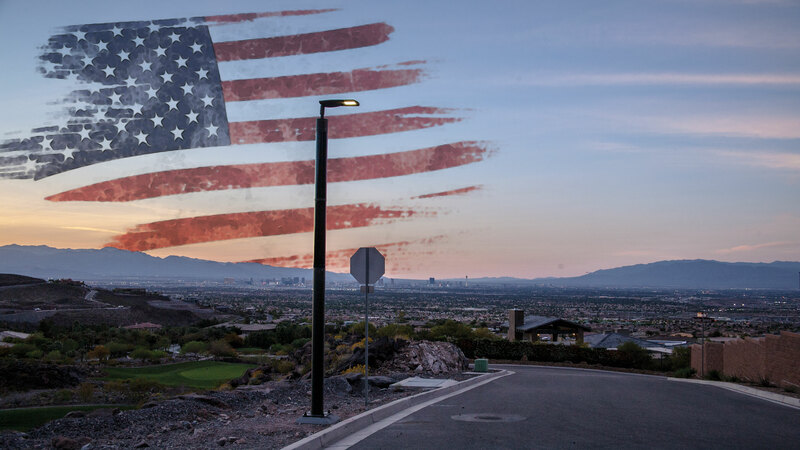 In this article, I will go into every detail about the advantages of the lithium batteries powering the Soluxio solar light post and explain why the use of lithium batteries actually results in a lower Total Cost of Ownership (TCO). Why do we recommend lithium batteries? Over the last decade, lithium has been proven to be an extremely reliable battery technology. Lithium batteries are widely used in electric cars, cell phones, cameras, laptops and other mobile devices. Lithium batteries are even used for energy storage in the electrical grid. So it seems like there would be a lot of advantages of lithium batteries over the more traditional types of batteries such as lead, don’t you think? To start with, I will summarize the most important benefits of lithium batteries compared to lead batteries. Lead batteries in this context refers to all the different chemistries of lead batteries and even the most modern types of lead batteries, like VRLA, deep cycle sealed (VRLA) AGM batteries or deep cycle sealed (VRLA) gel batteries. In addition, this article will give a detailed explanation of what the differences between lithium and lead batteries mean for the performance and durability of a solar light pole. Batteries do not like high temperatures, as they reduce service life. However, increased temperatures have a much larger impact on lead batteries than they do on lithium batteries. Temperatures above 20ºC reduce the lifetime of lead batteries rapidly, whereas lithium batteries tolerate temperatures up to 45ºC. When the temperature rises from 20ºC to 30ºC, the service life of lead batteries (e.g. 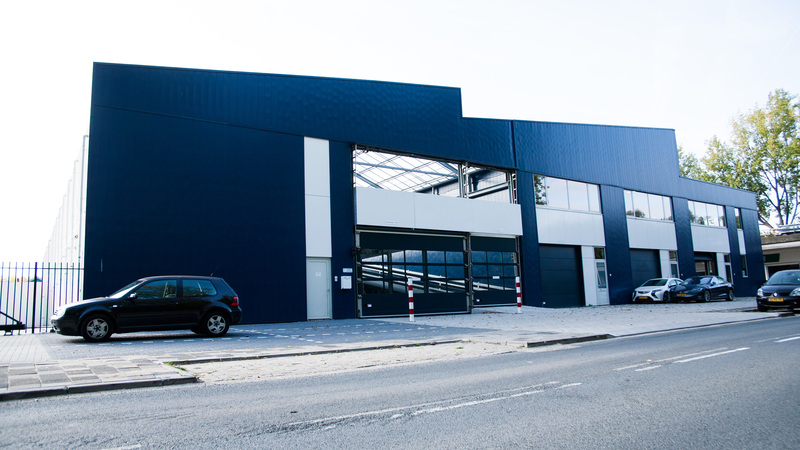 AGM/GEL) will shorten by a factor of 2. 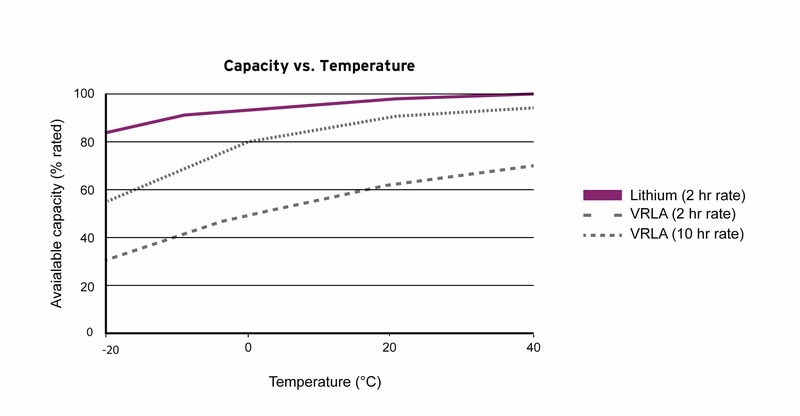 The graphs below clearly show this, with the capacity retention plotted against the number of charge cycles for both 20ºC and 33ºC. In the Middle East for example, solar street lighting with lead batteries will likely have to be replaced within 2 years (or 750 cycles). 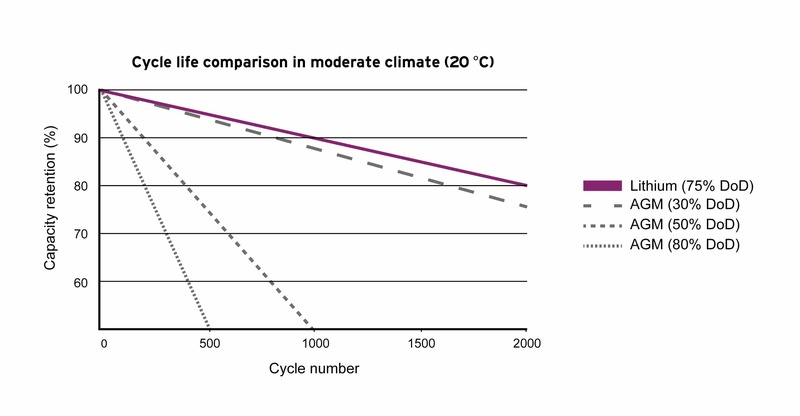 When temperatures increase from 20ºC to 40ºC, the service life of lead batteries will decrease by a whopping factor of 4. 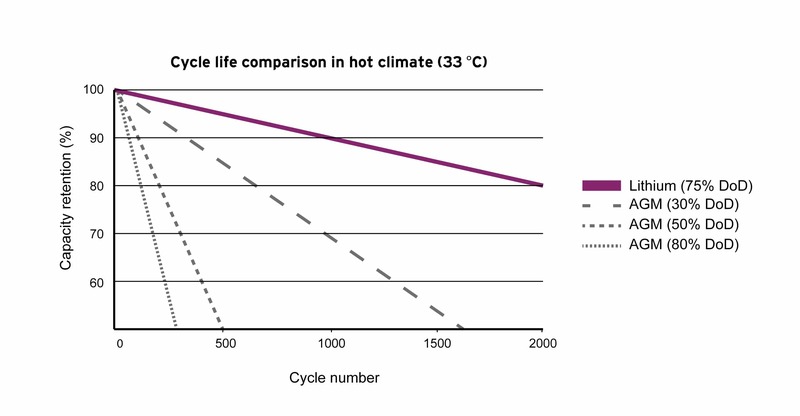 As for lithium-based battery technologies, temperatures of 40ºC do not have any impact on battery lifetime at all. Especially considering the fact that solar street lighting is most common in warm, sunny regions (where ambient temperatures often rise above 20ºC) the use of lithium batteries is strongly advised. Both lithium and lead batteries lose useful energy capacity in cold weather conditions. However, for lead batteries the effect is much more severe. At temperatures of -20ºC, the useful energy capacity of lead batteries is reduced to 30%, as shown in the graph below. Under the same discharging conditions, lithium batteries retain 82% of their energy capacity. Lithium batteries will not only last longer in countries with high temperatures but also in regions with very cold conditions, like mountainous regions. The turnaround cycle efficiency shows how efficient the battery is during a complete charge and discharge cycle. For lead batteries this is usually around 75%. This means that if you charge a lead battery with 1000Wh you will only get 750Wh back for actually powering your device. So you lose 25% system efficiency in the batteries alone! In the case of a solar streetlight (or any other solar-powered system) this infers that you need to have at least 25% more solar panels to power the same load. The system will inevitably turn out to be more expensive under these conditions (or perform worse for the same configuration). For lithium batteries however, the turnaround cycle efficiency is roughly 98%. No wonder we are seeing a rise in the use of this battery technology. 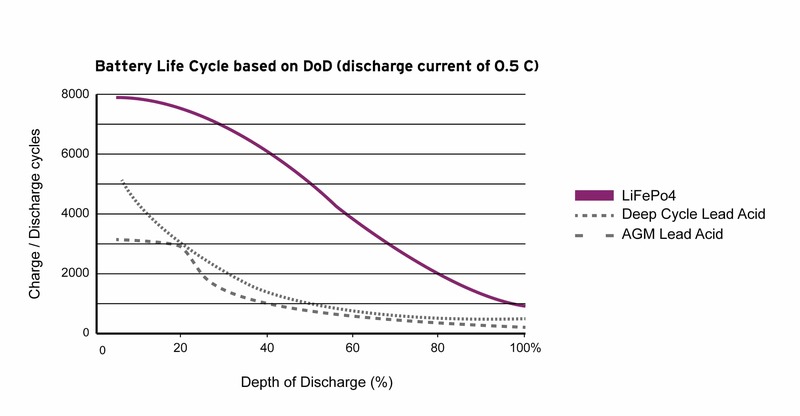 The Depth Of Discharge (DOD) relates to how deep you drain the battery in every cycle. The deeper you discharge the battery, the fewer discharge cycles it can make, thus the shorter the service life of the battery will be. Lithium batteries can be easily discharged up to 95% whereas lead batteries are limited to 50%. The graph below shows how the depth of discharge is related to the number of cycles for both lead batteries and lithium batteries. If we want to use the batteries for around 2000 cycles (2000/365 days = 5,5 years), you can only discharge lead batteries between 25-35%, while for lithium this is around 80%. This means you need to have at least 4x the capacity of a lithium battery to get the same battery life for a lead battery! Or to put it otherwise: if you want to use 80% of a battery’s capacity, you can only use a lead battery for 250-500 cycles versus 2000 cycles for a lithium battery. A lead battery will have to be replaced 4-8 times more often than lithium! After reading all of this, you might wonder why anyone would opt for lead batteries. The answer is simple. Lead batteries are much easier to implement than lithium batteries. Lithium batteries are more sensitive to overcharging (above the maximum allowable voltage) and discharging (under the minimum allowable voltage), which requires more advanced electronics. At FlexSol, we have the knowledge and skills to deal with this complexity. 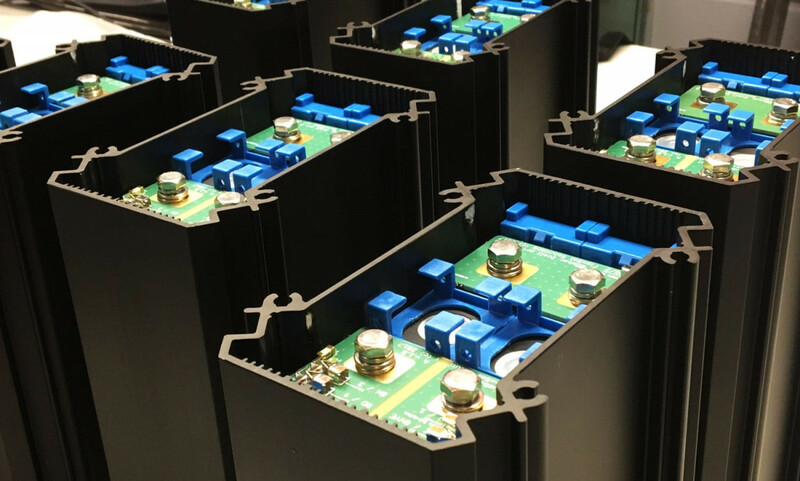 That is why all of our products are equipped with a dedicated battery management system that optimizes both charging and discharging to maximize battery life. With all of these abstract numbers and graphs, it can be difficult to fully grasp the impact of the differences between lead and lithium batteries in the specific case of a solar streetlight. Let’s use a case study to focus on the impact of lithium batteries on the performance and costs of a solar streetlight. Consider we have a configuration with a 100Wp solar panel, 20W light source and a 1400Wh lithium battery. We want to use the battery for 2000 cycles (5,5 years), so the DoD should not be larger than 80%. This means the effective battery capacity is 1400Wh*80%=1120Wh. Thus, the battery can power the luminaire for 1120Wh/20W=56 hours. The battery in this system will cost about 800Euro and can be fitted inside the column (above or under the ground). If we want to use a Deep Cycle GEL battery, we need to have a 130Wp solar panel to compensate for the turnaround cycle efficiency. The solar panel would cost around €200 more with a Deep Cycle GEL battery. Furthermore, in case we want an identical lifetime of 2000 cycles, we should use a DOD of 30% for the battery. This results in a battery of 3700Wh, which is 2.7x larger than the lithium battery at an identical effective capacity and lifetime. If we are looking for a good quality Deep Cycle GEL battery, we can use two Victron Energy batteries (model BAT412151100, which still only has 1800 cycles @ 30% DOD), costing around €920. This is already more expensive than a lithium battery, but that is not everything. Due to their larger size, we cannot put the lead batteries inside the column, so we need to add an extra underground container that can fit the batteries, which costs at least €100. 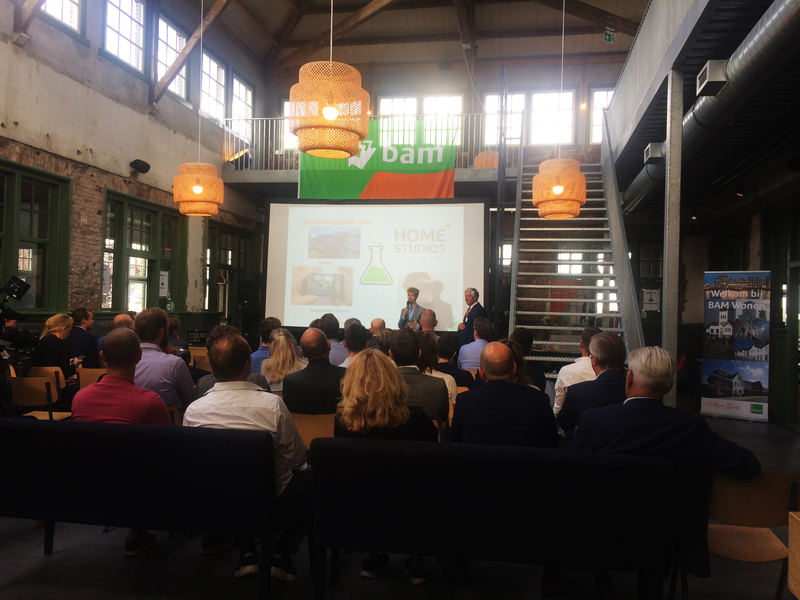 Note that this will also make installation more expensive, because more excavation work is required and the whole process would last longer, which will cost at least €100 more. Adding up all the costs and comparing them with lithium, we see that the lead battery is about €500 more expensive (around 60%). So, why do lead batteries often seem like the cheaper option then? The answer is simple; in our example, we compared our high-quality lithium battery with a comparable high-quality Deep Cycle GEL battery with the same service life and compensation for the turnaround cycle efficiency. However, most competitors offer smaller lead batteries – around 2400Wh in this case, costing around €480 – which results in a higher DOD (46%) and thus a shorter service life (750 cycles @ 50% DOD). This means the battery will have to be replaced 2.7 times more often, with a total cost of €1296 excluding labour – versus €800 for lithium including labour. Also, competitors do not compensate for the turnaround cycle efficiency, which results in less power available for the light fixture. All this leads to a lower initial price, but very high maintenance and repair costs later on. So, despite the somewhat higher upfront cost of lithium batteries, the true cost of ownership is far lower than that of lead acid considering life span and performance. That is why we only work with lithium; we rather charge our streetlights, not our customers. For more information, please visit Soluxio solar lighting.